Hello and welcome to the Healthy Cookbooks Shore! There are quite a few recipes on BasilBasics.com, but can you really ever have enough good recipes? Of course not! And so this Shop was born. If you do have a recipe with basil that you would like to share, please do click on the link above. In addition, it would be great if you would include a little background on how you came up with your recipe. People always like the inside story! 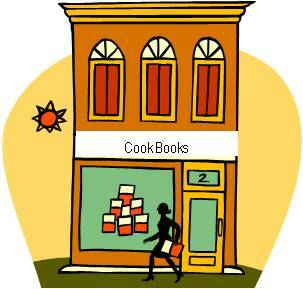 For your convenience, each cookbook has the publisher and distributor listed you can be sure you are getting just what you are looking for. Also, there is a good possibility that the same book may appear more than once so you can do a little comparative shopping. So if you are a Foodie, we hope we found some great recipes to add to your collection. Check back often as we will try to adjust what is on hand based on what you tell us you are looking for. So please feel free to use the Contact Us page and tell us what's missing. The only way to make this the best it can be is with your input. If you do not see exactly what you are looking for, this is but a small sample of what these book companies have on offer. Click the store name and it will take you to the book store. There you will be able to search for the perfect fit. We have intentionally put together a collection of not only different books but also different Internet book companies. Do take the time to compare prices because you will find a big difference from time to time. It will be worth the extra five or ten minutes to do the comparison. If you are a coupon or deal shopper, you will now find the latest deals and coupons from our various partners. The coupons/deals will not just be for healthy cookbooks, but sitewide. In addition, there is a search box that will help you locate a specific deal or coupon for what you are looking for. If a code is needed, click on the box, and it will reveal the code and take you to the store. If no code is needed, simply click on the box, and a new window will open for the store. Not the stuff you are looking for? Looking more for kitchenware perhaps? Well you might want to check out the Kitchenware Shop, which has a broad range of kitchenware, cooking utensils, and other kitchen equipment. spectrum.